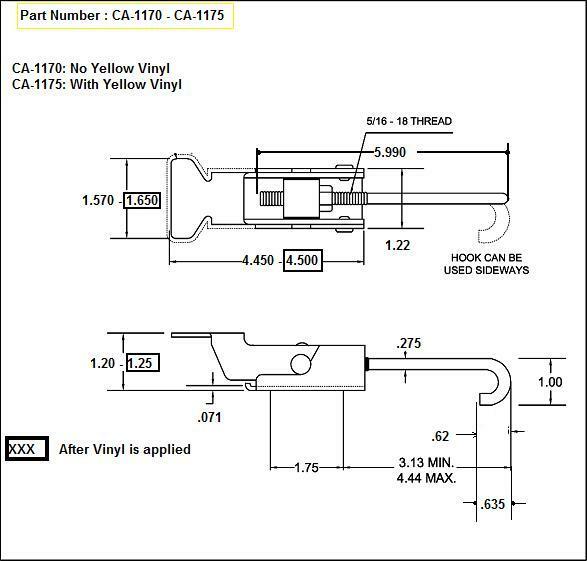 Request a quote for CA-1175 - Adjustable Catch with Vinyl Grip today. JBF National latches and catches are manufactured from the highest quality materials. They are designed and tested for ultimate reliability and durability. CA-1175 is manufactured from either clear zinc plated steel or passivated stainless steel. Yellow vinyl grip is standard on this model. Please see component diagram below.